Monkstone Pétanque Club is a well known pétanque club in Cardiff, south-east Wales. The club has approximately 60 members ranging from the social player to the Welsh international. Pétanque is an easy game to learn and is suitable for all ages; it is also one of the few sports where men and women can compete equally. Above all, pétanque is a great game to play at any level. Visit our Facebook site just by clicking the icon above and post a comment/like us to spread the word about Pétanque! The Monkstone Club is affiliated to the sport’s governing body, the Welsh Pétanque Association (WPA), which organises regular competitions throughout the season, so there are many opportunities to enjoy and improve your game. A number of Monkstone members who started as novices now represent Wales both at home and abroad. New players will always receive a warm welcome in the club, and you don’t have to worry about buying boules initially as these are provided. 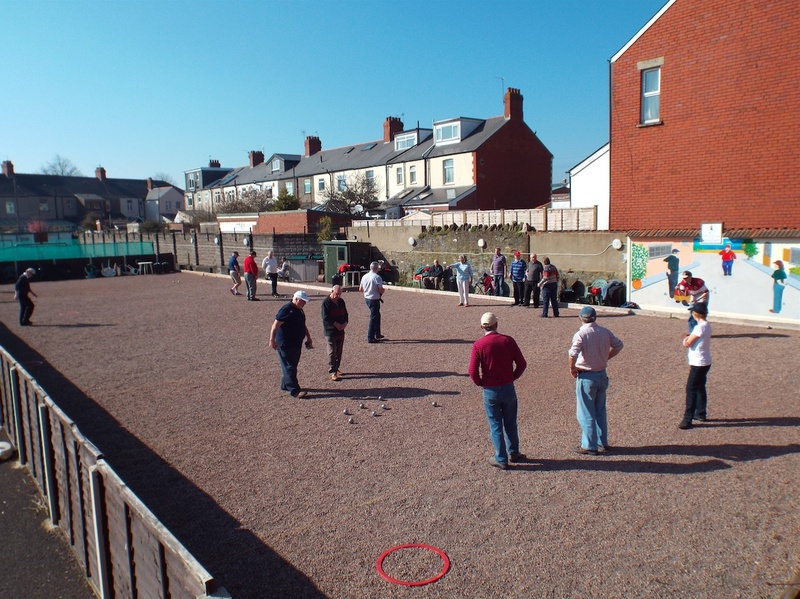 You will also find that the wider pétanque community within south Wales is very friendly and supportive. Our club has the benefit of having a bar on site, a great place to unwind after a game and explain over a pint why you didn’t deserve to lose!